BITTER RIVAL by J. Sterling is LIVE! James Russo is enemy #1. Hating him is in my blood. Our families have been at war for generations; a bitter rivalry with no end in sight. All I’ve ever wanted to do was make wine, but one night with James will cost me everything. I shouldn’t be attracted to him… but I am. I definitely shouldn’t want to sleep with him… but I do. Is following my heart worth the risk of losing my vineyard and my legacy? Because in my family, there could be no greater betrayal than sleeping with the enemy. Download your copy today for the special release price of $2.99 today! I’m so glad I’ve popped my J. Sterling cherry! And to top the lot, the topic she’d chosen was really easy to relate to as I do appreciate a good glass or three of vino! I live in wine country and have visited many bodegas, so her descriptive narrative not only helped me connect to her protagonists, but also gave me the feeling of being in their backyard…oops, vineyard. 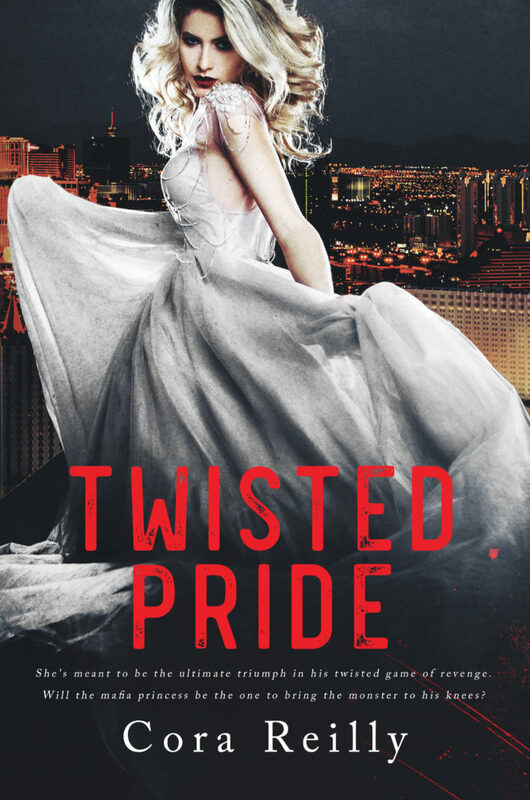 This low-on-angst-light-hearted love story is addictive reading and before I even knew it, I’d finished the book. The story behind a family feud really intrigued me, but it’s wearing one member’s patience thin in particular. So, why has it been going on for such a long time you may ask. And for different reasons, why is it affecting the younger generation of viticulturists to the point that they can’t be seen together? Firstly, as it’s not made clear what happened until nearly the ending, my imagination ran away with me and what I thought was the cause for such animosity was way off the mark. Secondly, James and Julia’s fathers’ refusal to speak about it doesn’t help matters and a no fraternizing with the neighbours rule aggravates the whole situation even more. Enemies, James and Julia definitely are, but hate is a word too strong to describe their self-same feelings. Problem is you’ve got to be able to see which way the wind blows in more ways than one before you can get your bearings, and that’s exactly what was done. Well, there’s no denying the attraction was there, but past events in their childhood made one of them apprehensive. James is a lovely guy with a great sense of humour. Hard-working and like Julia, dedicated to the family business, a selfless act on his part makes her realise she could have been fighting a losing battle. A real tease, he also takes great pleasure in rubbing her up the wrong way. She always seemed to me to be on the defensive which only adds fuel to the fire. More detail about how their wines reached perfection would have been nice but all in all, it’s a well-written story with plenty of laugh-out-loud moments. Steaminess abounds ladies, so get your fans ready, too! Want an easy-to-read standalone with great character development, then Bitter Rival is for you. Bravo Sterling! My goal is to write books that you can get lost in and stories that will leave you with a smile and a full heart. If you can forget about the real world while you’re reading and fall in love with my characters, then I’ve done my job. A lot of what I write has real-life aspects in it, but that’s what makes the stories so relatable- the fact that they could happen to anyone… and have! I live in California with my son, Blake. If you can’t find me sitting behind a computer screen, then there’s a good chance I’m sitting in the bleachers of a baseball stadium watching him play. I love traveling to new places, meeting my readers and spending time with the love of my life, my very own second chance romance, who inspires me daily. I know you have a million books to choose from and I am humbled, grateful and thankful each time you choose to read one of mine, or tell someone else to read them. Thank you. 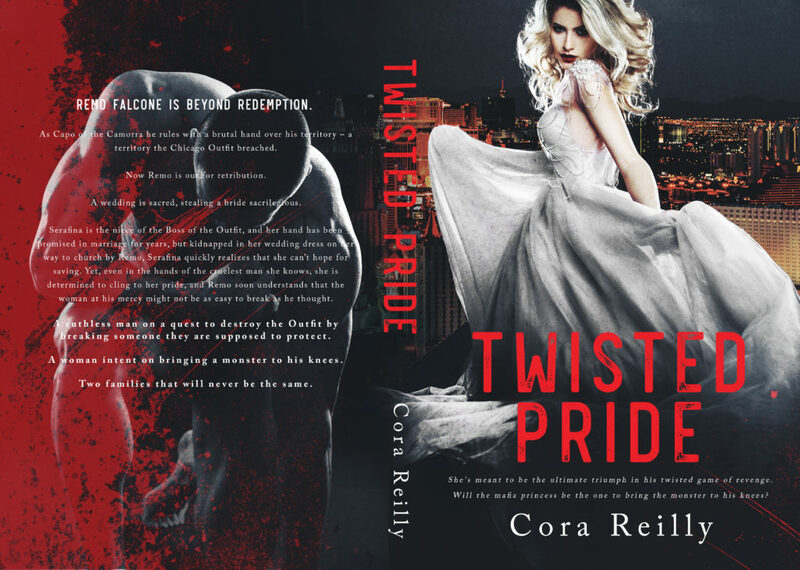 Author SharonPosted on March 21, 2019 March 21, 2019 Categories Release Date Blitz, ReviewsLeave a comment on BITTER RIVAL by J. Sterling is LIVE! 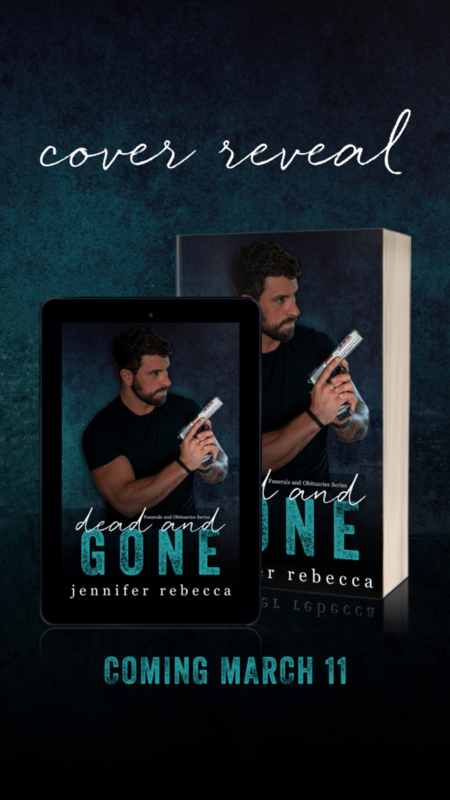 Coming 16th April, check out the blurb, add to your TBR and be sure to pre-order your copy today! Before he left the room, he glanced over his shoulder at me. “Don’t try to run, angel. There are more men like Simeone waiting to get their hands on you. I’d hate having so send them after you and hurt you.”As if anyone could hurt me worse than Remo would. Remo’s mouth pulled into a smile that raised the little hairs on my skin. A smile that would haunt me forever. Remo regarded me as if he too was wondering the same thing, and his silence told me that my guess had been right; this was indeed the Falcone mansion. It surprised me that he would risk bringing me into his family’s home. “Like you said I will be the one to make you scream and no one else,” he said eventually before he shut the door. I closed my eyes, and pulled the covers tighter around myself. A power play. A twisted game of chess. I wasn’t going to be a pawn or a queen, and Remo wouldn’t be the king. BOSS by Katy Evans is LIVE! Katy Evans is now live! Who does Kit Walker think he is? The trust-fund heir waltzes in and wants to boss me around, but if I catch him misbehaving, his father will yank his inheritance. Stalemate, right? Not when our chemistry is irresistible! Ironically, we run the top dating app. Could this be my “perfect match”…or the perfect scandal? 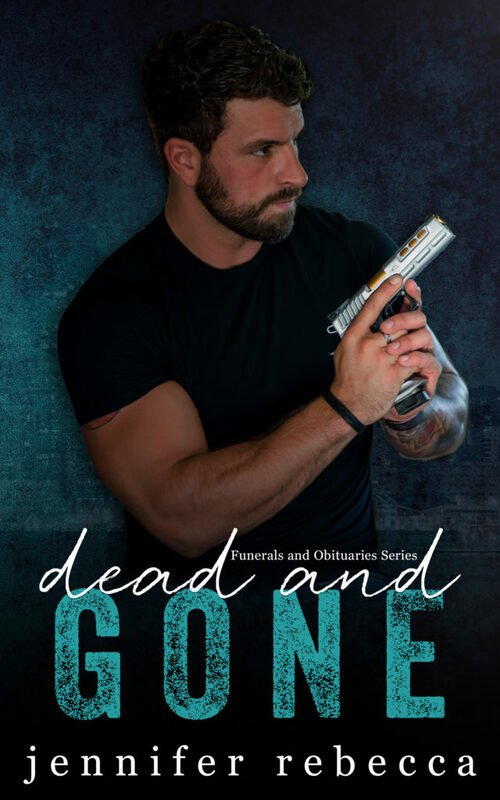 Author SharonPosted on March 1, 2019 Categories UncategorizedLeave a comment on BOSS by Katy Evans is LIVE! WHEN AUGUST ENDS by Penelope Ward is now available! and now a USA Today bestseller! WHEN AUGUST ENDS IS LIVE AND ON SALE FOR A LIMITED TIME! GRAP YOUR COPY FOR ONLY $3.99 TODAY! I always look forward to reading Ward’s contemporary romances and When August Ends is not only one of those books you pick up and have trouble putting down, but also broaches a subject I’m familiar with. So what, may you ask is it! Well…this stand-alone is overflowing with starting points, one of them being the age gap. Also, the author’s shorter sentences arrived like a gift since extended prose can at times make for a bulky read. And true to the author’s style, she hasn’t held back with the flirtatious witty wordplay. Totally necessary I might add, as the heroine most certainly deserves someone to brighten up her days. I couldn’t help but like Heather. She’s incredibly selfless, has had a raw deal and is handling the whole situation really well considering her age. And even though her hopes and dreams for the future aren’t in arm’s reach, I thought her matter-of-fact attitude mature beyond her years. In a nutshell, she’s an exemplary daughter and gets on with a job she feels duly tied to the best way she can. A past happening simmers in the background, the feeling of abandonment left me crushed. However, someone’s about to help her out in more ways than she could ever have expected. Noah’s taken time out and rented a guest boathouse on the family property until the end of August. Ladies, I wasn’t the only one counting down the weeks. Although this guy… his moral compass, his willingness to do the right thing impressed me beyond words, he’s tight-lipped and brusque. This part of his character I didn’t dislike a bit since little-big actions showed me there was much more to him than meets the eye. Hmm…Noah fancies Heather, but won’t act on it as he knows it’s wrong in every way. He’s also aware that she has a crush on him. Lol, there’s nothing like drawing attention to oneself which she does pretty well in one scene. Roaring with laughter, this wasn’t going to be the only scenario which tickled me pink. So why is he holding back when the attraction is undeniable? I’d rather not make this known; nonetheless, it doesn’t need a calculator to come up with at least one right answer! Adoring how their friendship grew, their chats were a pleasure to read… How Noah slowly opens up to her, his sound advice and his reasoning behind his stance are realistically narrated. And his cigar smoking…loved this touch. You’ll all want someone like Noah’s father in your lives. Regardless of his son’s doubts and fears, this marvellous man is always there for him. And a delicate health issue told with compassion brought to light just how this silent malady affects loved ones. The tasteful steaminess sneaks up on you at the right moment in the story, and despite being a low-angst-slow-burn romance, the twist took me by surprise and literally sealed the deal for me. The author’s creative narrative from dual perspectives in past tense overflows with engaging banter, keeping this love story moving at a pleasing pace. Emotional and sensitive, Noah and Heather’s tale is not one you’ll want to miss. Ooh, and for all of you animal lovers, your hearts will melt when you meet Bonnie and Clyde, their mascots. Bravo! 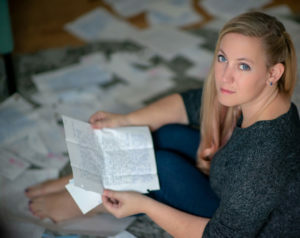 Author SharonPosted on February 28, 2019 February 28, 2019 Categories Blog Tours, ReviewsLeave a comment on WHEN AUGUST ENDS by Penelope Ward is now available! 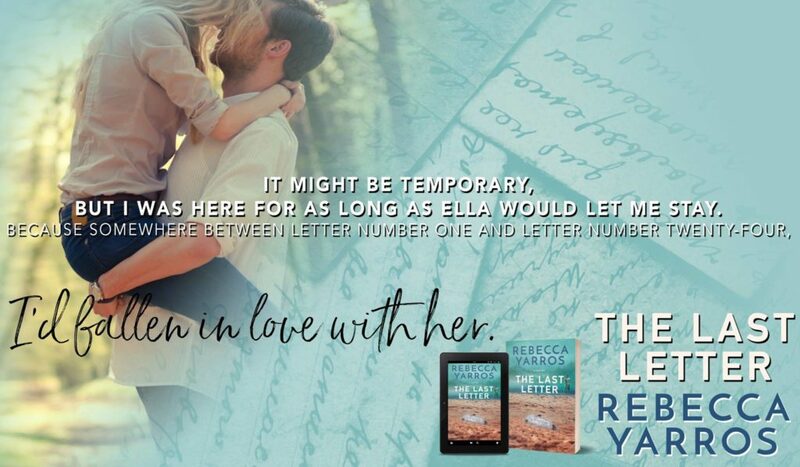 THE LAST LETTER by Rebecca Yarros is LIVE! could destroy their fragile relationship. 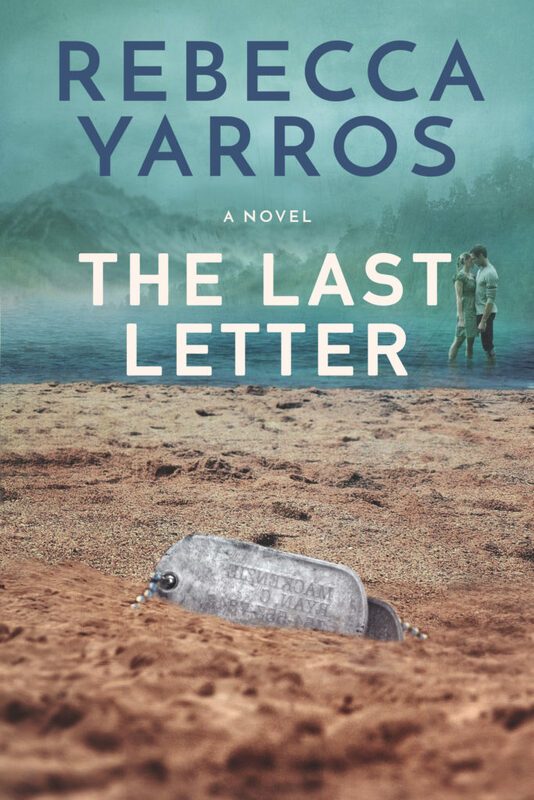 Don’t miss THE LAST LETTER by Rebecca Yarros! I am lost for words! Very occasionally, do I come across a read which simply takes my breath away; this one did much more than that. The prose in certain sentences and paragraphs was of such exquisiteness, I couldn’t have possibly moved on in the story without rereading them. This stand-alone romance is for me, women’s fiction at its very best. Heart-wrenchingly beautiful, compassionate and emotional, getting through the book without shedding tears I found impossible. My warning ladies; a man-sized hanky is a must because otherwise, you’ll find yourselves wiping your sniffles on your sleeve! Letters from the heart are written. Whether they’re all received, read or even replied to remains to be seen. One of them will change a man’s life and here is where I stop. I want you to enjoy this book as much as I did, so I’ll try my hardest not to go into too many details. What I can say is Rebecca Yarros’ characters are stunning, ridiculously easy to connect to and if it were ever possible, I’d want them in my life. Having not had the pleasure of reading this author’s works and even though I’d read the synopsis, never did I expect Beckett Gentry and Ella MacKenzie’s journey to be so soul-searchingly crushing. Beckett is a man of few words. Not such a good communicator at the best of times, what I adored about him was he had no use bad language because all said and done, other words in the dictionary exist to express one’s feeling. And his efforts to do the honourable thing literally bowled me over. With a heart of gold and righteousness that goes above and beyond, he had me sitting back and thinking about how one can lose track of simple actions like thoughtfulness, making us a better person. If there were ever an award for the best mum to be had, I wouldn’t hesitate to vote for Ella. Hardworking and strong-willed, her unwavering commitment to her twins is nothing less than exceptional. Honest to the core, lies have no place in her life. Unfortunately for her, they exist and when they come to light, the consequences are devastating. Questions arise and go unanswered so why then, is Beckett there by her side through thick and thin? Why so much secretiveness, who is he and where did he come from? I got the impression that the timing was all wrong at the beginning of their story; certainly, the geographics didn’t help matters. “You’re not a big people person, are you? All unravels at a steady pace, but this is not to say I was overjoyed with what was happening. In fact, I was left speechless. But not in the respect that I felt saddened by anyone’s actions because in this story there is no room for judgment. Just the whole poignant past and present sorry state of affairs none of them had bargained for. Not only did I fall hard for Beckett and Ella, but my goodness me, the children. They stole the show, they squeezed my heart and Havoc! Dog lovers, you’re in for a real treat here. Given moments of sheer joy, I was fooled into believing that all was not lost when in fact, that safety net the author had shrewdly conjured up in my mind simply disappeared into thin air. Perseverance to overcome what was thrown the protagonists’ way will make even the most hardened reader bawl their eyes out. But above all, the benevolent affection, the emotion that I literally lived from the first page to the last, showed me that true love has no boundaries whatsoever. Corner-cutting delicate health issues Yarros most certainly hasn’t done. She’s told it as it is with a frankness that’s quite alarming and at times, even before turning the next page to see what was or wasn’t going to transpire only seemed to add to my anxiousness. Every imaginable blow hits intensely. She’s woven a tale I, for one, will never forget and despite the ugly cries leaving me spent, her beautifully written words were narrated with the utmost graciousness. Five stars aren’t enough! That simple. Read this book; you won’t regret it. Bravo to the author and so looking forward to reading more of her works. “Ella.” It was a plea to speak, to not speak. Hell, I didn’t know anymore.“You don’t see me like that. I totally get it.” She reached for the TV remote. 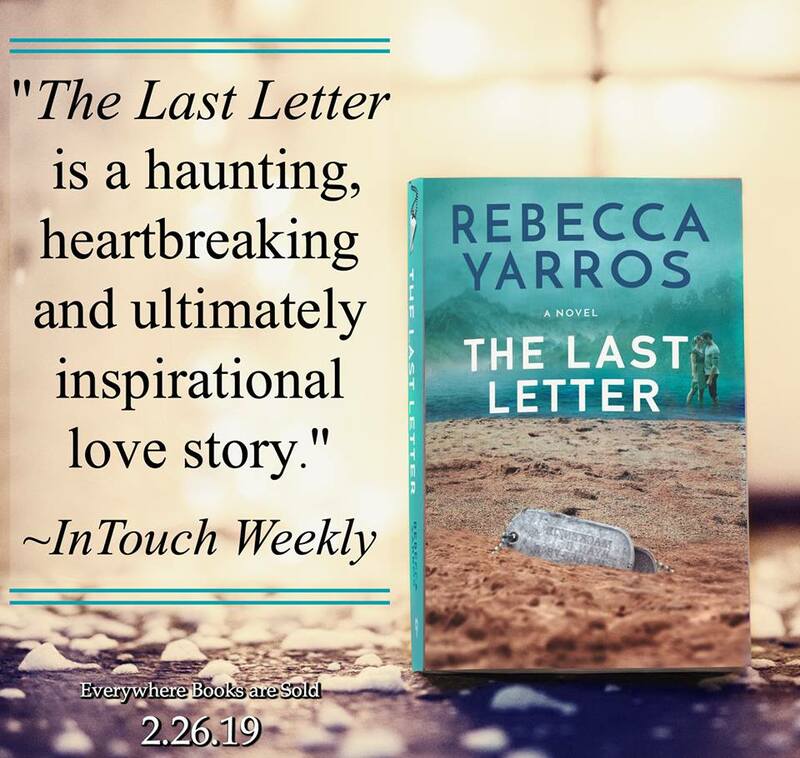 Author SharonPosted on February 25, 2019 February 26, 2019 Categories Excerpt Reveal, Release Date Blitz, ReviewsLeave a comment on THE LAST LETTER by Rebecca Yarros is LIVE! WHEN AUGUST ENDS by Penelope Ward is LIVE! 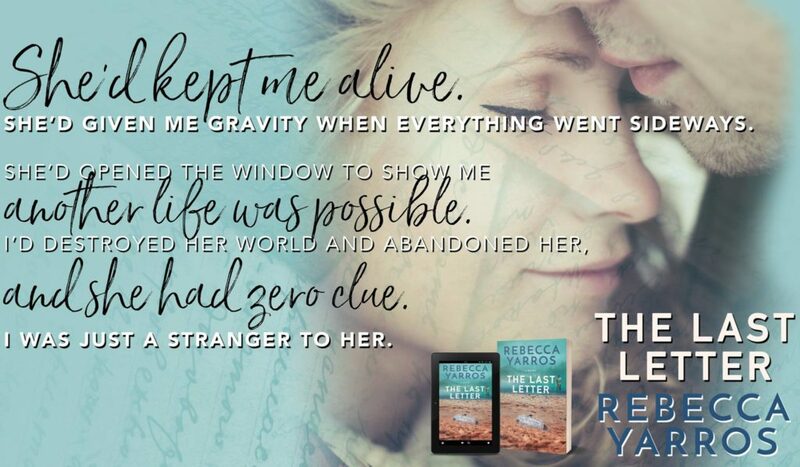 Author SharonPosted on February 24, 2019 February 28, 2019 Categories Release Date Blitz, ReviewsLeave a comment on WHEN AUGUST ENDS by Penelope Ward is LIVE! 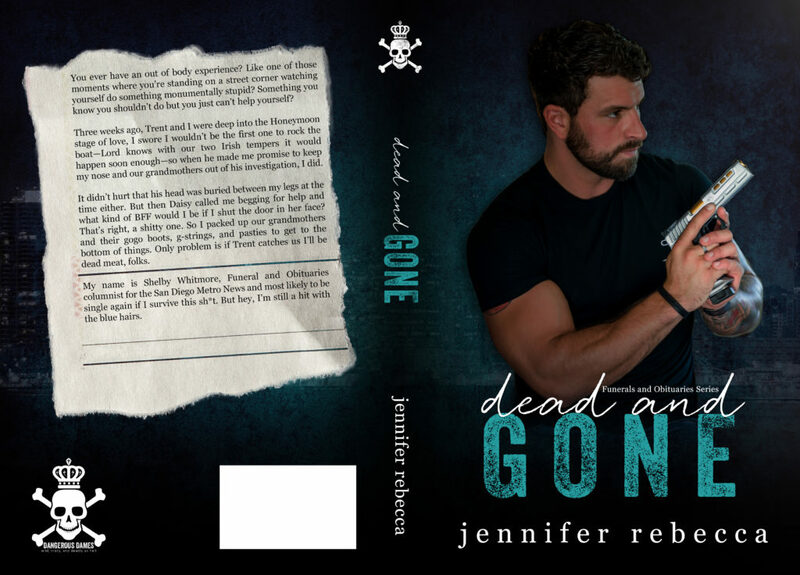 Today we have the cover reveal for Dead and Gone by Jennifer Rebecca! Check it out and be sure to grab your copy today! It didn’t hurt that his head was buried between my legs at the time either. But then Daisy called me begging for help and what kind of bestie would I be if I shut the door in her face? That’s right, a sh*tty one. So I packed up our grandmothers and their gogo boots, g-strings and pasties to get to the bottom of things. Only problem is if Trent catches us I’ll be dead meat, folks. I’m dead meat. Literally. Dead. Meat.Last month, when Trent and I started up again, I promised him that I wouldn’t do anything crazy. I wouldn’t go off half cocked. 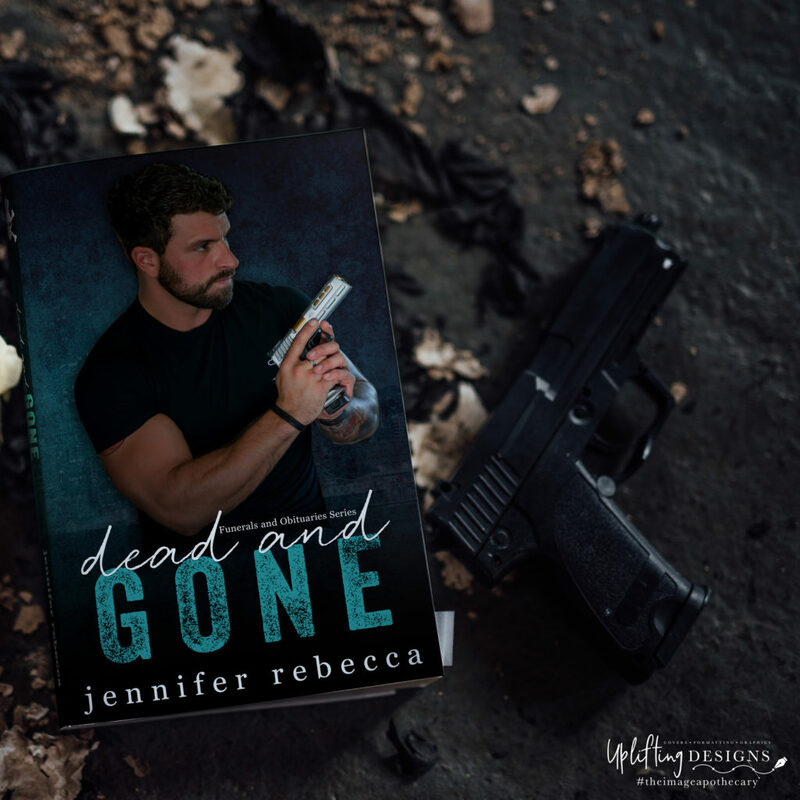 And most importantly, I wouldn’t follow our grandmothers down the crazy assed rabbit hole of Granny Grabbers and Dangerous Dames.“You’re not police officers,” he had said.And I agreed. We’re not. Jennifer is a thirty something lover of words, all words: the written, the spoken, the sung (even poorly), the sweet, the funny, and even the four letter variety. She is a native of San Diego, California where she grew up reading the Brownings and Rebecca with her mother and Clifford and the Dog who Glowed in the Dark with her dad, much to her mother’s dismay. 10 years ago, she was swept off her feet by her very own sailor. Today, they are happily married and the parents of a 8 year old and 6 year old twins. She can often be found in East Texas on the soccer fields, drawing with her children, or reading. Jennifer is convinced that if she puts her fitbit on one of the dogs, she might finally make her step goals. She loves a great romance, an alpha hero, and lots and lots of laughter.